Characteristic triad of tuberous sclerosis..
apart from this triad it is associated with another S..!
" My RED LIP "
O'Connel's sign: It is Kehr's sign elicited with patient in Trendelenburg position. As it is usually becomes positive before the Kehr's sign, it is at times recommended to elicit O'Connel's sign as well. Kehr's sign: Pain in the left shoulder caused by irritation of the undersurface of the diaphragm by blood leaking from a ruptured spleen. The pain impulses are referred along the phrenic nerve. Saegesser's sign: Compression of phrenic point (along the border of the sternocleidomastoid muscle, 2-4 cm above the clavicle) causes sudden contraction of homolateral hemidiaphragm and severe pain along the lateral border of rectus abdominis muscle. It indicates a rupture or intracapsular bleeding of the spleen. Genu valGUM (knock-knee): knees are GUMmed together. · Varum (bowleg) is the other by default, or Far rhymes with Var, so knees are far apart. IgM antibodies appear early in the course of an infection and usually reappear, to a less extent, after further exposure. IgM antibodies cannot pass through human placenta. These two biological properties of IgM make it useful in the diagnosis of infectious diseases. Demonstrating IgM antibodies in a patient's serum indicates recent infection, or in a neonate's serum indicates intrauterine infection (e.g. congenital rubella). · If can't remember that Parkinson's tremor is the one that is "resting tremor", look at the last 3 letters: RST. Deviation may involve only the cartilage,bone or both. 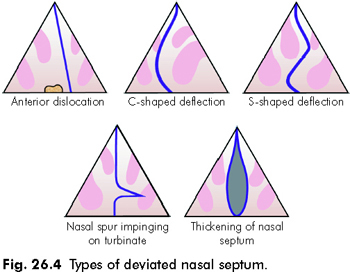 S -shaped deformity may cause bilateral nasal obstruction. SMALL FOR GESTATIONAL AGE BABY GETS FOLLOWING PROBLEMS: [CHAMP] - REMEMBER THAT SGA BABY WILL BECOME A CHAMP. Distal to Ampulla of vater. Ranson's criteria is used to predict the severity of acute pancreatitis. Alternatively: USED CARP, to include Parenteral nutrition/ Pancreatic fistula. The combination of these three branched chain amino acids (BCAA) makes up approximately 1/3 of skeletal muscle in the human body. · pH is high, PCO2 is down (Alkalosis). · pH is low, PCO2 is up (Acidosis). · pH is high, HCO3 is high (Alkalosis). · pH is low, HCO3 is low (Acidosis). myenteric plexus vs. submucosal plexus function Myenteric: Motility. "1 from 1, 2 from 2"
Primary ending is from Group Ia. Secondary ending from Group II. PeT: PT is for extrinsic pathway. Nitric oxide synthase is the enzyme facilitating synthesis of Nitric oxide(NO) from L-arginine. Functions of nitric oxide include vasodilation,reduction of platelet adhesion & aggregation and reduction of inflammatory responses. The acronym ARP can stand for 'accomodation reflex present'. Thus in Argyll Robertson pupil (ARP) , accomodation reflex (near reflex) is present but light reflex is absent. Argyll Robertson pupil results from damage to relay paths in tectum between the afferent and efferent tracts. In this region, the lesion is almost invariably syphilitic. Lusitropic: loose is relaxed. Definition: relax heart. Inotropic: when heart wall contracts, moves inward. Definition: contract heart. Chronotropic: 'chrono-' means 'time'. Defintion: heart rate (of SA node impulses). Dromotropic: only one left, it must be conduction speed by default. · Note: full name of PGI2 is prostaglandin I2 or prostacyclin, full name of TxA2 is thromboxane A2. Pain & Temperature are conducted through the Lateral spinothalamic tract. think: " Transferrin Saturation "
The normal transferrin saturation is 20-60% (Twenty- Sixty). The value is 25-56% to be more accurate. · Note: there is also melanocyte secreting homone and Lipotropin, but they are not well understood. · * Asterisk indicates physiologic cause. OU can be used to remember that its On moving Up from T12.